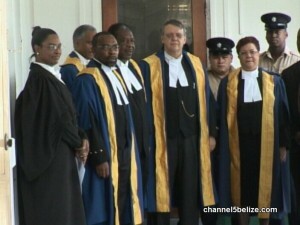 The Caribbean Court of Justice this morning commenced hearings for the first time in Belize, since its establishment in 2001. 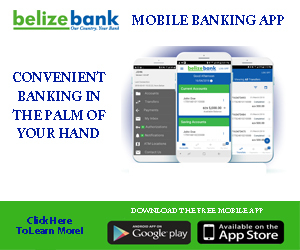 There are currently three other members, Barbados, Guyana and Dominica, is its newest member. And while the CCJ is headquartered in Trinidad, it is not the final court for that country. 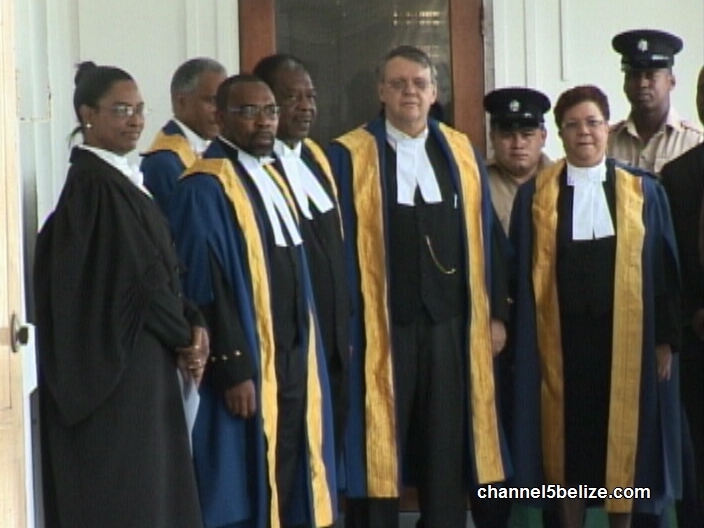 On its historic sitting, which will continue through Thursday, the CCJ will be dealing with cases from Guyana as well as Belize. As it relates to the local cases, the next few days shall continue to see a number of firsts, including a criminal appeal to the CCJ, as well as a pending Maya Land Rights case, which is scheduled for Wednesday. Today, convicted murderer, twenty-seven-year-old Gregory August, appeared before a bench of judges led by President Dennis Byron. Represented by Senior Counsel Eamon Courtenay, an application for special leave was made on August’s behalf to allow for a challenge of his sentence. In November 2012, August was found guilty of the stabbing death of seventy-three-year-old Alvin Robinson inside his home in the Western Paradise community and sentenced to life in prison without the possibility of parole. August would subsequently go before the Court of Appeal where the decision to condemn him was never challenged. 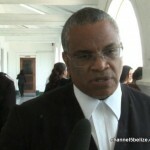 When the CCJ resumed the hearing at ten-thirty this morning, President Byron informed that the application had been granted and that case management for the matter to proceed is set for Tuesday morning. 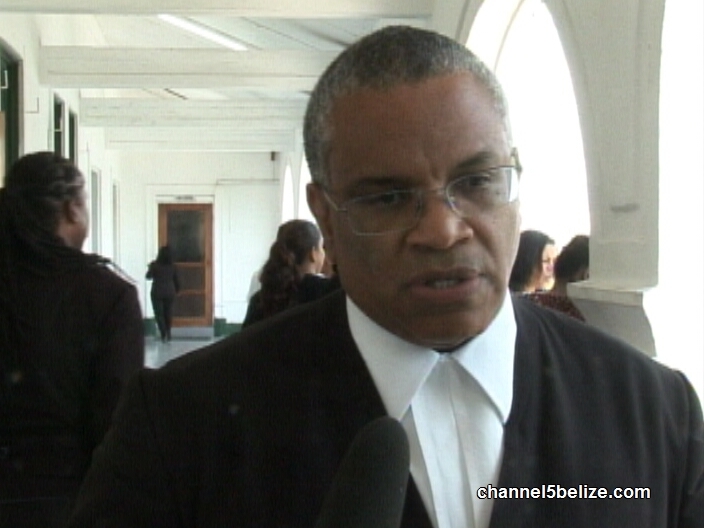 Following the session, we spoke with attorney Eamon Courtenay who, on behalf of the president of the Bar Association of Belize, welcomed the CCJ Belize’s jurisdiction.